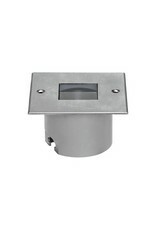 Single emission floor recessed mounting for outdoor application. The warm white LED light source with a 30° light distribution is composed of 3 powerled LEDs with CCT of 3000 K and a CRI 80; the source luminous flux is 390 lm, with a 130 lm/W luminous efficacy. The device body is made of stainless steel and features a steel finish, processed by means of brushing. The ingress protection degree is IP67; the total weight is of 0.42 kg. The power supply driver is not provided and is to be ordered separately. The total absorbed power is 3 W. The power supply cable is included and features a 1 m lenght. 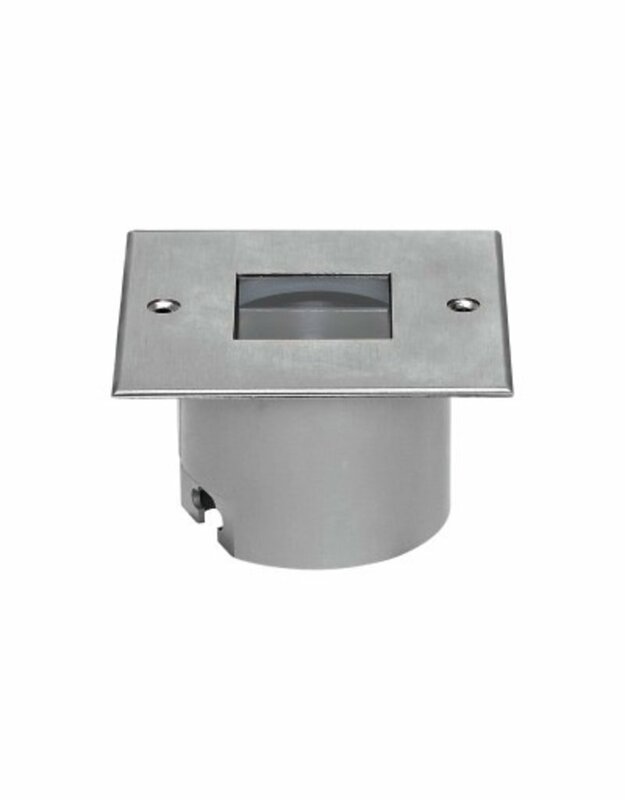 The device features protection class III and can be floor-mounted with an outer casing, code 98057(for concrete or masonry).